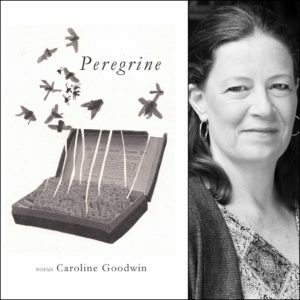 Caroline Goodwin moved to the San Francisco Bay Area in 1999 from Sitka, Alaska to attend Stanford’s creative writing program as a Wallace Stegner Fellow. 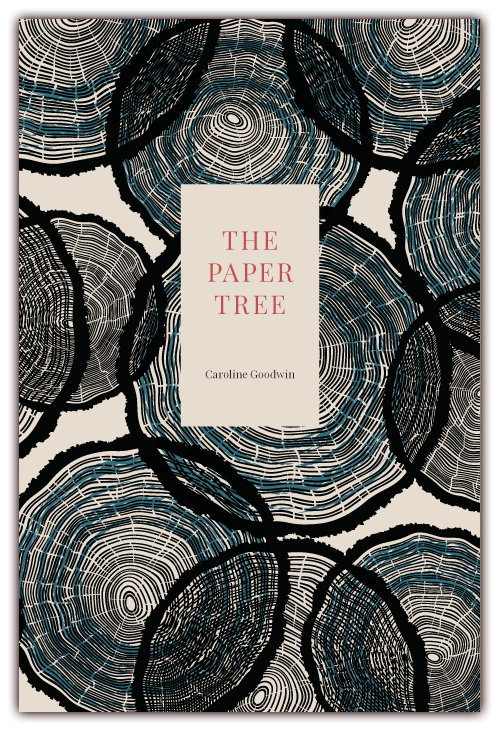 Her books are Trapline (2013), Peregrine (2015) and The Paper Tree (2017). 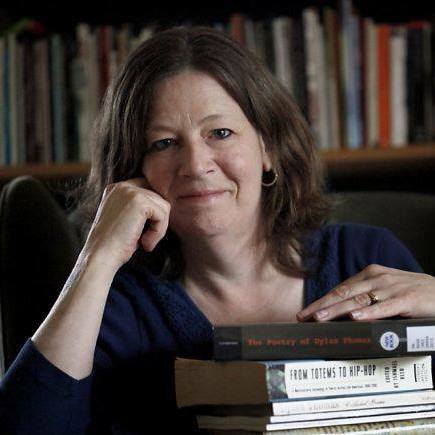 She teaches at California College of the Arts and the Stanford Writer’s Studio; from 2014 – 16 she served as the first Poet Laureate of San Mateo County. The writing process often seems mysterious, even to writers who practice consistently. Tell me a little about your writing practice and how you keep yourself returning to the page. I like to see it as an adventure, a process of discovery. When I’m connected to the work (and this has definitely come and gone over the years — I have gone through long and painful “dry” periods), I look forward to seeing what might occur. I find that if I make it a priority to at least look at the work early in the day, then often the rest of the day is at least partially spent connected with the developing poem. For example, I have two texts set up in my kitchen next to the stove, and my laptop opened to the previous day’s work. I make this a part of my nightly routine, like taking my meds. The texts are: Common Plants of Nunavut and Li: Dynamic Form in Nature. I am working on a series of poems that explores the environmental degradation of our precious Arctic region, infused with my grief journey after losing my husband in August 2016. I think of them as a series of love poems, both for Nick and for the Arctic. I have rules: every poem must be seven lines (I am modeling this after my friend Hugh Behm-Steinberg’s wonderful collection Shy Green Fields). I make my tea and stand at the counter until I have seven lines. I love seeing what comes out in each piece, and I look forward to seeing what the next challenge might be. It’s kind of a puzzle, and it feels like a spiritual practice to me because I depend on a lot of serendipity. I am aiming for a full-length collection of these little guys. They are really weird. I see that you have published two collections of poetry, one with Finishing Line Press and one with Big Yes Press. It’s easy to assume that once a poet gets a book published, it suddenly becomes easy to publish other works. How would you compare your experiences between your first publication and your second? Do you find it easier to publish now than before your first collection? 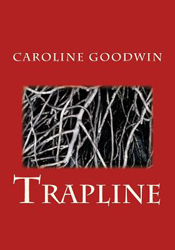 Actually I also published with JackLeg Press in 2013 — a print-on-demand book entitled Trapline. So each of my books has been a different experience. Publishing has changed so much in the last twenty years, as we all know, and there are lots of small presses making terrific books. So I wouldn’t say it’s gotten easier, because the creative work itself is the same (VERY hard). It’s a matter of hanging in there, networking, staying grateful and showing up, staying committed to the art form and putting your hand out to fellow poets. I’ve found each of the presses lovely to work with and most days I can’t actually believe I have 3 books in the world! I also have a tiny chapbook called Text Me, Ishmael, handmade by the Literary Pocketbook series in Wales, UK. Oh, and two more self-published chapbooks, Kodiak Herbal and Gora Verstovia. I sewed these books up myself, punching the holes for the spines with a push pin. It was fun. Since you are also a writer of non-fiction, tell me how the two genres dovetail for you. Great question. I recently carved out a writing retreat for myself in Yellowknife, Northwest Territories, Canada. My goal was to finish a memoir about my daughter Josephine’s life and death (I’ve been working on this for more than ten years). However, I went to the Yellowknife bookstore and found a book by the poet Roo Borson. Well, before I knew it, my writing retreat was overtaken by a long poem that was exciting to me, that spun out from a line I found in her book: “unreadable book that will not close.” That line seemed, to me, to speak to the experience of grief. Poetry “won” and I stayed with that poem and the memoir was not completed. I also have three pieces of nonfiction published now. One is about my daughter Josephine and Sitka, Alaska (entitled ROY) and another recent piece entitled AMARANTH. This one surprised me because I finished it six days before my husband died, and it’s full of these crazy premonitions. 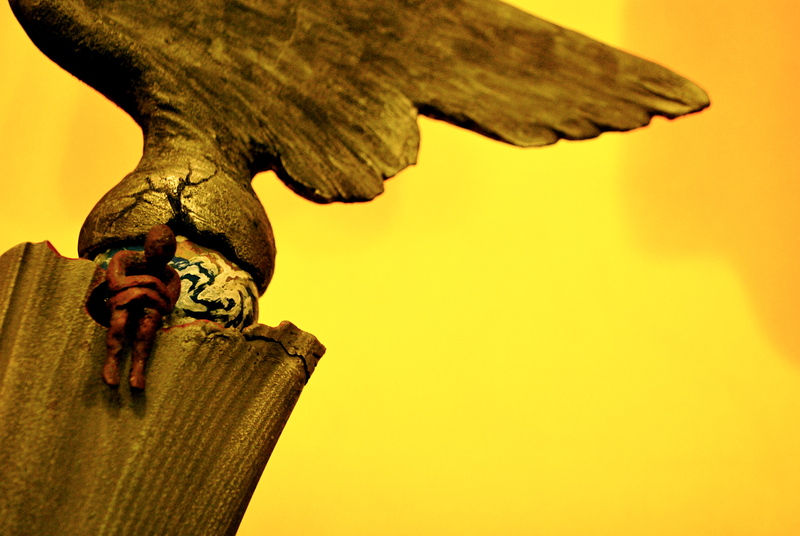 And I just published an essay in the South Dakota Review entitled “What They Do”. Currently, I’m working on an essay about online dating. So I think I’d say poetry and nonfiction dovetail and help each other, distract from each other, feed and deplete each other, if that makes sense. At the end of the day, they simply help me to figure out what I really want to say about something. The prose is slow for me, but I do hope to finish that memoir someday, I just have to let my mind wander where and when it will. What other creative practices do you pursue? I knit and crochet (I love Granny squares) and hang out with my pug, Jimi Hendrix. I also like to go boogie boarding in the ocean whenever I can and I’m working on my home garden. I know that you are a writing coach with OneRoom in addition to teaching, writing, and publishing. How do you juggle it all? Very, very, very, very, very chaotically and with a whole lot of help from the Universe. My motto is “slow and steady wins the race” and to give myself lots of slack. If I show up for my own creative work, even if I just look at it briefly, that’s a good day for me. Would you recommend writers get an MFA in creative writing? I have always seen the MFA as a gift to the self. I went to the University of British Columbia partly because needed to get out of a relationship, so I didn’t apply anywhere else. I just knew I needed to leave, but still be close to Alaska. Luckily I had the resources to do so. It was one of the best things I ever did for myself. I still am in touch with and admire the poets in my workshop from grad school. It’s a privilege to have an MFA and I remain grateful for the experience and all it taught me about how to be a poet in the world. Are you working on any projects now? Yes, the manuscript is temporarily called Common Plants of Nunavut. Nunavut is the newest, largest and northernmost territory of Canada. I like the name, and the fact that it was nearly named “Bob” (true story). I love the Arctic; each poem’s title is the common name of a plant. When I was in Yellowknife I learned that the city is sitting on 237,000 tonnes of arsenic, the byproduct of a shut-down gold mine, the Giant Mine. That’s enough to kill every human on earth. The landscape is incredibly beautiful, and fragile, lots of colorful rocks and lichens. Many of my childhood weekends were spent on a lake north of Anchorage, and these experiences were profound for me. Going to Yellowknife was a spiritual journey back to the landscape of my childhood, so I’m writing about that. I started another manuscript entitled Old Snow, White Sun, which takes its title from a song by the Japanese acid rock group Kikagaku Moyo (Geometric Designs) and is about a recent love affair among other things. I also hope that my writing might play a small part in valuing and preserving this beautiful earth. I studied biology as an undergrad, so I love plant names. Plants are magical. They are the producers, really the only living thing that MAKES something helpful. They give us everything, really. So when I write I let the sounds of the names and also the ideas and emotions evoked come onto the page, interact, be weird, and possibly add up to a poem. Can you share one of your poems with ZPR readers? This entry was posted in Creativity Coaching, Poet Interviews on March 17, 2019 by Lisa M. Hase-Jackson. 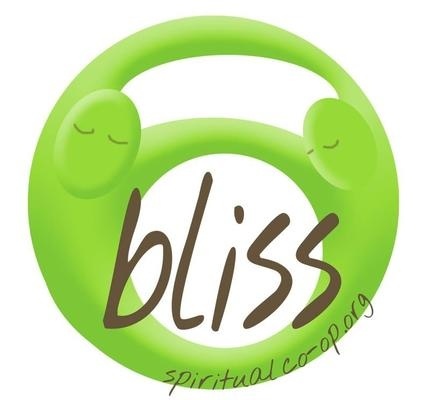 Four More Weeks of “Creative Writing Extravaganza” at Bliss! As Seen in Natural Awakenings Magazine! No registration required! Attend all eight weeks or drop in when you can! Join us as we explore how the raw material of our life experiences informs our artistic expression and how we can develop them into poems, stories, flash memoir, and more! Each class will focus on a specific sample or style of writing from which students will generate their own work by responding to prompts, engaging in invention activities, and emulating the sample writing itself. Time will also be set aside during each class for students to read aloud from any new work they wish to share (always optional). All levels are welcome. Bring your journal, favorite writing instrument, and inner child! This entry was posted in Creativity Coaching, Writing Exercises, Writing, Revising, Blogging, Zingara Classes and Workshops and tagged Bliss Spiritual Co-op, Creative Non-Fiction, Flash fiction, Lyric Essay, Poetry, Writing Blocks on September 13, 2016 by Lisa M. Hase-Jackson. Come learn about or deepen your understanding of poetry, memoir, creative non-fiction, essay and short fiction writing. During this eight-week class, we will explore how the raw material of our life experiences informs our artistic expression and how we can develop those expressions into finished pieces. Each class will focus on a specific sample or style of writing from which students will generate their own work by responding to prompts, engaging in invention activities, and emulating the sample writing itself. Time will also be set aside during each class for students to read aloud from any new work they wish to share (always optional). All levels are welcome. This entry was posted in Creativity Coaching, Poetry Events and Readings, Writing Exercises, Writing, Revising, Blogging and tagged Creative Non-Fiction, Creative Writing, Fiction, Flash fiction, Non-Fiction, Poetry, Prose Poetry on August 16, 2016 by Lisa M. Hase-Jackson. Vocal communication is one of the most ancient modes of technology still utilized in modern times. It is the mode by which we first learn to persuade others to see our point of view and call them to act, and it still holds great power and rhetorical value today. More than engaging the intellect through well-chosen words, the voice is the body’s singular channel for connecting with others and conveying emotional meaning through intonation, stressed syllables, meter, rhyme, and volume. Poetry, with its attention to sound and sensuous appeal, naturally evolved from the human need to remember and convey oral histories. Combining the technology of written expression with the oral tradition of story-telling, poetry expands the limits of language to engage the listener’s soul. We can say, then, that poetry is a technology older than the iPad, the laptop or the analog phone. Older still than cave-dwelling drawings or the written word; older even perhaps than prose. While poetry continues to evolve in response to new theories on form and function and even in response to historical upheaval that would require it to conform, it still resists and overcomes language barriers, gender perception, and political influence. Read or spoken aloud, poetry continues to be one of the most effective means of conveying emotional truth today. This entry was posted in Creativity Coaching, Writing, Revising, Blogging and tagged Poetry Theory, Voice on September 5, 2014 by Lisa M. Hase-Jackson. The characteristics of a perfect creative space are as varied and subjective as the myriad individuals who utilize them. What makes an ideal space for one may be abhorrent for another. One writer, for example, may prefer the solitude of a quiet room with a closed door while another prefers the white noise and human bustle typical of the neighborhood café. One painter may prefer En plein air while another longs for the consistency of the indoor studio. Too, such preferences alter in response to related personal needs and emotional states. Perhaps yesterday the objective was to get out of the house and away from the dirty dishes, making the coffee shop, where the dishes are someone else’s concern, more conducive to working. Tomorrow the concern may be reducing caffeine intake and limiting sugary snacks, making the library a more attractive choice. Artists intuit this about themselves and constantly adjust to get their creative work done. Artists also know that physicality of space is important to the creative process. The painter/sculptor must be able to make a mess; the musician must make noise without raising the ire of neighbors; the photographer must have space to store and use specialty equipment; and the writer must have something hard on which to write or a place to set the computer upon which she types. In developing one’s place of creativity, it may be useful to know that quiet is generally considered more conducive to creating than noise, that large spaces dissipate energy and small spaces channel it, that distractions can prove homicidal to focus. But more importantly is intention to create. One of the ways artists undermine their intentions to create is to focus on acquiring a perfect creative space – even waiting to create until everything about a space is perfect. Manuscripts are postponed until the perfect house on the perfect lane with the perfect view are purchased, occupied and decorated. Musical arrangements delayed until the ideal music studio secured. Great paintings left imaginary until just the right cooperative opens up. Then, once the perfect space is acquired, the artist becomes paralyzed by that very perfection. The writer is so stunned by the view beyond the windows of their dream writing space they never write a word. The painter becomes afraid to make a mess in their newly built studio with its hardwood floors. The sculptor becomes distracted by loft-mates and other artists in the cooperative she joined. The perfect space, then, is just another way perfectionism can thwart an artist’s efforts. The intention to create, then, is at least as important as one’s creative space. Is it really the thought of those dirty dishes that interferes with creating, or is it fear of facing the blank page, empty canvas or block of stone? Is it fear of success? Or is the thought of those dirty dishes a distraction meant to delay the creative process and temporarily keep the ego comfortable? Will the perfect creative space really make you better at creating, or will the act of creating make you better at creating? Take into consideration other professions in which lack of distractions is crucial to success. You would not want your dentist to be distracted by a stunning view while performing your root canal. Give the same level of focus to your creative work by providing your creative process with as much consideration as a surgeon gives the patient beneath his scalpel. This entry was posted in Creativity Coaching on January 17, 2013 by Lisa M. Hase-Jackson. The characteristics of the perfect creative space are as varied and subjective as the myriad individuals who utilize such spaces. What makes an ideal space for one may be abhorrent to another. One writer, for example, may prefer the solitude of a quiet room with a closed door while another prefers the white noise and human bustle typical of the neighborhood café. One painter may prefer En plein air while another longs for the consistency of the indoor studio. Time and mood, too, play roles in an artist’s preferences. Perhaps yesterday the objective was to get out of the house and away from the dirty dishes, making the coffee shop, where the dishes are another’s concern, more conducive to working. Tomorrow the concern may be reducing caffeine intake and limiting sugary snacks, making the library a more attractive choice. Artists intuit this about themselves and constantly adjust in order to get their creative work done. Artists also know that physicality of space is important to the creative process. The painter/sculptor must be able to make a mess; the musician must make noise without raising the ire of neighbors; the photographer must have space to store and use specialty equipment; and the writer must have a surface upon which to write or to place the computer upon which she types. In considering creative space, it is certainly useful to know that quiet is generally more conducive to creating than noise, that large spaces dissipate energy while small spaces concentrate it, and that distractions can prove homicidal to focus. But most important for creating is having the intention to create. One of the ways artists undermine their intention to create is to focus on acquiring the perfect creative space – even waiting to create until everything about a space is perfect. Manuscripts are postponed until the perfect house on the perfect lane with the perfect view are purchased, occupied and decorated. Musical arrangements delayed until the ideal music studio secured. Great paintings left imaginary until just the right cooperative opens up. Then, once the perfect space is acquired, the artist becomes paralyzed by that very perfection. The writer is so stunned by the view beyond the windows of their dream writing space they never write a word. The painter becomes afraid to make a mess in their newly built studio with its hardwood floors. The sculptor becomes distracted by loft-mates or other artists member of the cooperative she has joined. The perfect space, then, is just another way perfectionism can thwart an artist’s efforts. The intention to create, then, is every bit as important as the physicality of the space. The artist must ask – Is it really the thought of those dirty dishes that interferes with creating, or are those dirty dishes a convenient way to avoid facing the blank page, empty canvas or block of stone? Will the perfect creative space really improve the creative process, or will the act of creating improve the creative process? Take into consideration other professions in which focus is crucial to success. The surgeon, the dentist, even the chef. None work in luxurious open spaces or demand astonishing views. They do not entertain distracting thoughts of inadequacy or images of failure while practicing their craft. They do not worry about the dishes. Artists can take a note from the pages of the professional practice book and learn to focus just as intently to give the creative process as much consideration as a surgeon gives the patient beneath his scalpel. Set an intention to create today and get to it. This entry was posted in Creativity Coaching and tagged Creating the Perfect Creative Space on July 4, 2011 by Lisa M. Hase-Jackson. Many people understand “Life Coaching” as a relationship wherein a trained individual helps another achieve certain desirable life goals and dreams. Creativity Coaching provides the same kind of support but with a concentrated focus on the creative personality and involves individuals who identify themselves as creative persons. A creative person can be described as any individual who is serious about their art, regardless of proficiency or amount of time dedicated in pursuit of honing that art, and regardless of the degree of financial support garnered from their art. In simplest terms, the creativity coach supports the artist through all aspects of the creative process, including, but not limited to, overcoming obstacles, mulling over the meaning of creating, planning projects, maintaining dreams while accepting reality, managing time, and completing stated goals. Creativity Coaching differs from therapy or other similarly helpful professions in that coaching is more concerned with supporting the client’s state of being than with analysis of the client’s condition. Objectives generally emphasize discovering what creative pathways the client wishes to explore and supporting such exploration through experienced guidance and compassionate interest. When a client is confronted with an obstacle involving confusing or traumatic past life experiences, the creativity coach is on hand to assist in navigating murky waters and untangling that which has become tangled in the psyche, ultimately allowing the individual to return to the important work of living and creating. Even though the focus of creativity coaching is on creativity, coaching of any kind is holistic in nature and considers every aspect of a client’s well-being. It is very common for coaching relationships to develop through telephone and email communication, or even through a Skype connection. Phone sessions typically occur every week and last between 30 and 45 minutes, depending on the situation, the client, and the coach’s parameters. Typically, coach and client stay in touch through regular email communication between telephone calls. Because coaching does not depend on a meeting location, it is possible to coach, or be coached, anywhere that email and phone connections are available. Creativity Coaching often yields a high return for clients. Still, it is a relationship and so requires a commitment from both parties. As such, certain characteristics and attitudes are particularly useful to possess when embarking on a journey with a creativity coach. These include: willingness to release resistance, willingness to honestly self- reflect and willingness to truly work towards stated goals. As a Creativity Coach, I offer a 20 minute free introductory session for interested individuals and am taking new clients. My clients range from novice writers discovering their voice to accomplished musicians putting together a next CD to visual artists arranging their next gallery showing. Whatever your creative endeavor, I am here to help you on your journey. My email is writeone.lisa@gmail.com – write “Creativity Coaching” in the subject line. This entry was posted in Creativity Coaching and tagged Coaching, Creativity, Visual arts on June 9, 2011 by Lisa M. Hase-Jackson.